Expecting a new baby is an exciting and daunting period at any time of life. Every first-time parent and young mother wonders what giving birth is like and what it will be like looking after a baby 24 hours a day. They'll wonder whether they will be able to cope, dread the scary possibility of postnatal depression, and wonder whether they can be the kind of parent they want to be. Once your precious newborn has arrived, you will probably begin wondering what to do now! First off, being a young mom can be truly wonderful so don't listen to all the negative stuff that's said about young mothers - you can be just as good a parent as an older mom. I've worked with many young mothers who were absolutely committed to breastfeeding, having as natural a birth as possible, and accepting the responsibility that parenthood brings. Whether you are considered young or not, every new parent wants to get it right and enjoy the first precious months with their newborn. I've written here for you, my top ten tips for first-time parents to enable that to happen. These are all things I wish I had known the first time around (and paid attention to!). Get Some Sleep When Baby Sleeps or at least Rest! This is tip number one because it's the most important! Everyone will tell you to sleep when your newborn sleeps and it's good advice, but it's not always possible. At first, you may be on a high from being a new mom and think you don't need to sleep or rest - but losing out on sleep over a long period of time will eventually catch up with you, and then it can be almost impossible to catch up on the sleep you need. If you at least rest when your newborn baby sleeps you will have more energy for the coming months and you will definitely need it! Your baby will probably start teething by around six months and during those months you may be surviving on very little sleep. being rested will help you find it easier to cope with less sleep. The process of labor and birth can also be very tiring. Sleeping and resting lots in the early days will help your body recover quickly and enable you to have all the energy you need to meet your baby's needs. Developing a strong bond with your baby is so important (for both moms and dads). The bond you develop as you get to know each other in the first few days, weeks and months will affect your child's psychological and emotional health throughout his life. When you first gave birth to your baby s/he would normally be put on your tummy so that you are skin to skin - this is because skin to skin contact is so vitally important. In the morning or at bedtime, keep your top half naked and let your baby be naked (apart from a nappy if you choose) - and cuddle! Wrap a blanket around you both if it's chilly. Another good time for skin-to-skin contact is bath time but getting into a bath with a newborn on your own is tricky! If you have a partner or relative around ask them to help. You get into the bath first and then ask your relative to pass you the baby. They will need to take the baby from you before you get out as well. If you're breastfeeding you will generally have more skin to skin contact just through the act of feeding, so this is especially important for bottle feeding moms and babies. 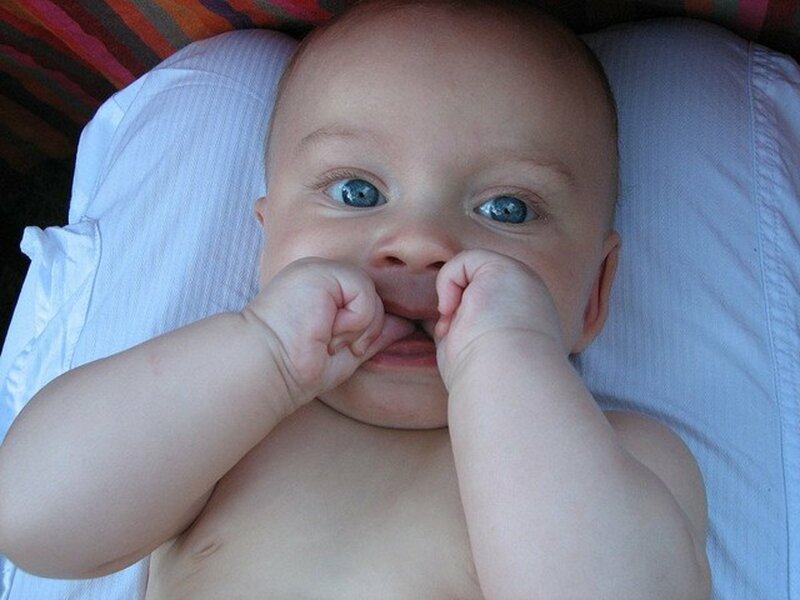 Your baby will love looking into your eyes and getting to know you by doing this. Feeding time whether you're breast or bottle feeding, is a great time to share some quality eye contact and strengthen the bond between you. Respond to your baby's needs and don't forget their emotional needs for comfort and closeness are as important as their physical needs. 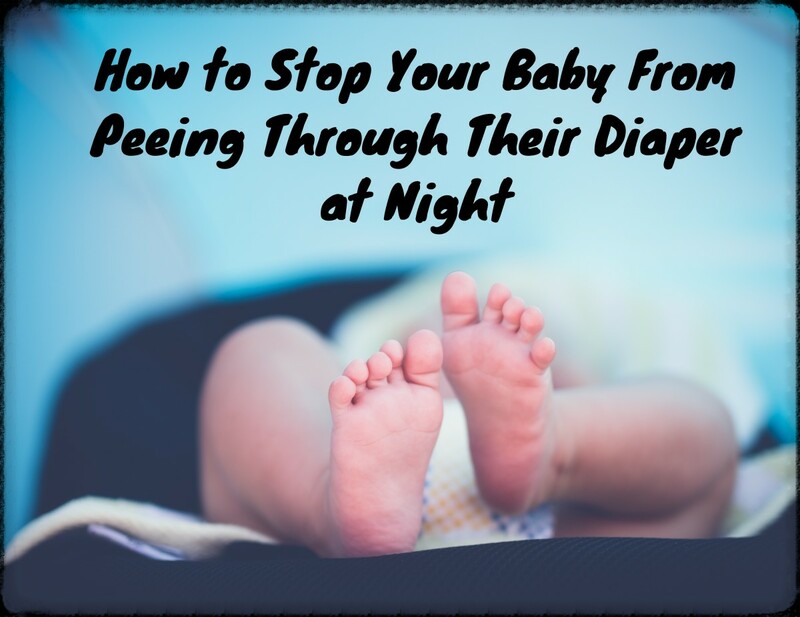 Your baby will not want to be away from you for long and that includes night times. It is exhausting having a baby wanting you all the time, but it really doesn't last forever. And if you can meet their emotional needs now you will have less problems later on. An easy way to meet your baby's needs for closeness is by using a sling, and as a bonus when you do it means you get to use your arms :) I recommend the Ergo Baby Wrap as I used it daily for my now 4 year old daughter and was very happy with it. It takes a little practice to get the wrap sequence, but once you do get it it's a fast process to get baby snuggled up against you in it. I wish someone had told me about this technique when I was walking up and down the living room for hours trying to soothe my baby by jiggling and rocking! (Don't get me wrong jiggling and rocking are great, but this seems to help babies settle a lot more quickly). The pat/shhh technique works brilliantly for soothing most newborn babies as it imitates the sounds they are used to hearing in the womb. Hold your baby on your shoulder and pat rhythmically and firmly in the center of their back. While you're doing this put your mouth near his ear and whisper a long "shhhh" sound. Do this repeatedly in time with your patting. Remember not to blow right into his ear as you could damage it, just blow past his ear. You may feel a little silly doing this at first but it really works. 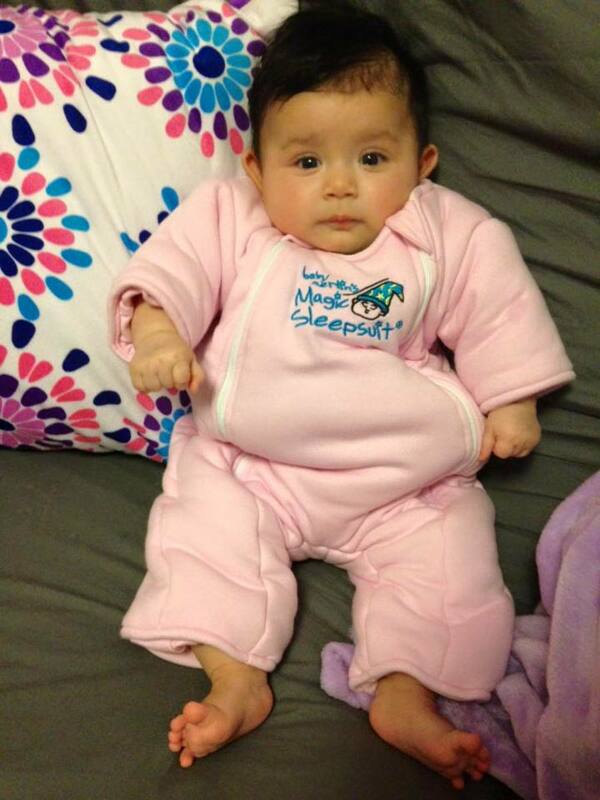 Young babies also like to be swaddled (wrapped up tightly). Think about buying a swaddling blanket or just use a sheet. One of the things that is often overlooked in the early days is that babies can get overstimulated very quickly. Of course, playtime is an essential part of parenting and it's good to have a few cool baby toys to entertain with but be aware not to overdo it in the first few months. 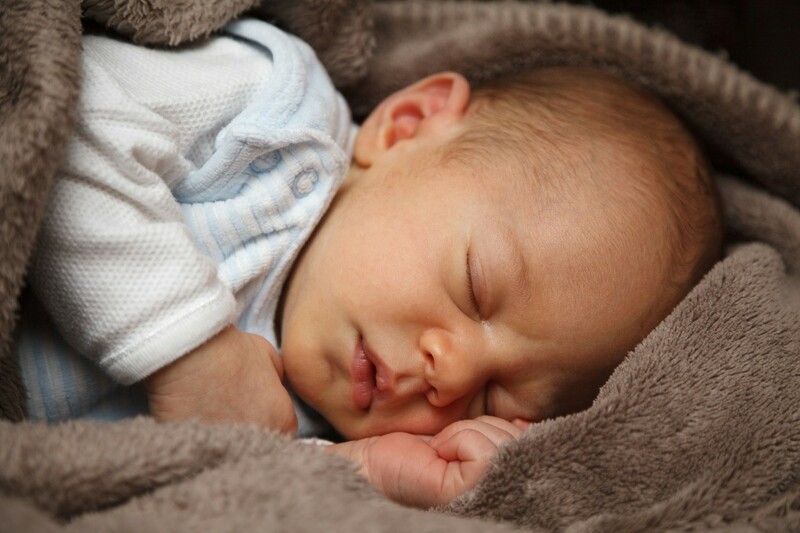 If your baby does get overstimulated you may find it hard to settle him down and for him to sleep when he needs to. This then results in your baby getting overtired. When your baby gets overtired he will cry, scream and get very stressed out and so will you! 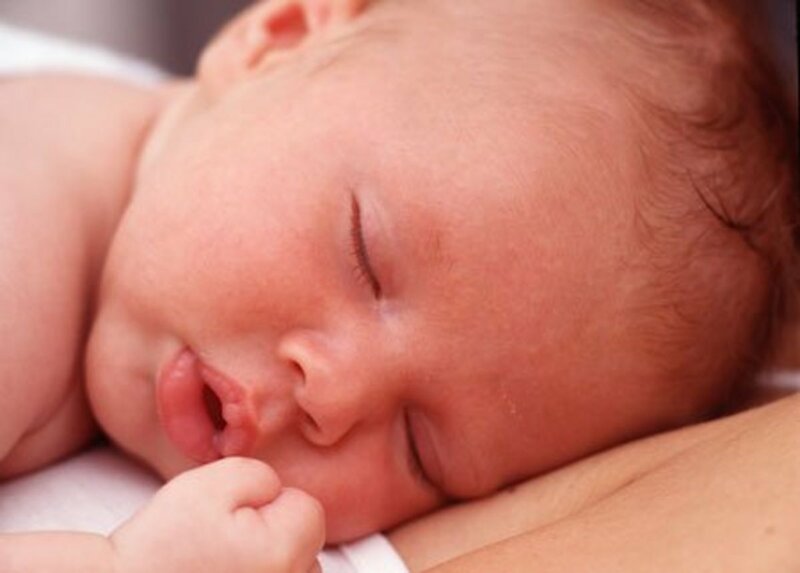 Very young babies can really only stay awake happily for around 30 minutes. If he has become over tired and over stimulated go and sit somewhere quiet and dark with him and use the pat/shhhh technique explained above to quiet him down and soothe his nerves. Tip 5: Plan, Plan, Pan! Planning for meal times, bath time, trips out, and bedtime make life a lot simpler, especially when you're tired. it's as simple as just making sure you have everything ready before you start your task. For instance, before you bathe your baby, make sure you have everything you will need afterwards, ready beforehand, such as a clean towel, clean clothes, diaper and bottom cream. When you're taking baby out (even if it's only for a little while!) you will need to take most or all of these things: spare clothes, nappies, wipes, nappy sacks, bottom cream, a spare top for you, breast pads, bottles if you are bottle feeding, and an extra blanket. Teaching your baby that night time is for sleeping is a good lesson for her to learn straight away. You'll do this by creating a bedtime routine which could consist of a bath, PJ's, feed and quiet cuddle. Rather than come back into the noisy living room, it's a good idea to take your baby to the bedroom for his bedtime feed. Have the lights low and don't have your TV on. If you need to do something read a book or magazine instead. Keep outside noise and stimulation as minimal as possible. You might want to use a blackout blind or heavy curtains so that the room is dark in the summer months. When your newborn wakes in the night, again, keep it quiet and dark. Talk in whispers if you need to speak - after a little while your baby will learn that this is quiet time, not play time, and it will help him learn that night time is sleep time. IMPORTANT NOTE: Remember that newborn babies usually need to feed frequently which can be as often as every 1-2 hours. They also often have digestive troubles such as wind and colic. This can make night times difficult for Moms and Dads, but don't get into thinking that your baby should not be feeding at night - they will need to! The important thing to remember however often your baby wakes in the night, is to keep it quiet and relaxed as explained above. Look after yourself and make sure you still have fun! It's hard to find time for yourself with a new baby to look after but try to set aside half an hour to do something you enjoy every day. Remember to treat yourself to new things, as well as look after yourself emotionally - if you're having a bad day talk to someone and have a cry if you need to. If you've not been able to get back into your old clothes buy yourself something new. Look after yourself physically—get as much sleep as you can (ask for help if you need it! ), get out for a quick swim or run and eat a healthy diet. If you neglect your needs you could start to resent your baby. At first a lot of new moms don't want to go out much because they are happy at home with their babies and there are lots of visitors coming to see you and your baby. Unfortunately, the visitors will slowly drop off and you might find yourself isolated and bored. Make an effort to socialize with friends, other new moms and family either by going out or inviting people to visit you at home. Isolation can bring on feelings of depression and this will not help you or your baby. There are so many parenting books available but the one I always recommend to learn about your baby's needs is The Baby Book by Dr Sear's. I would give to any new mother no matter what age. It contains loads of information on your babies physical, psychological and emotional needs at every stage of their development from 0-2 years old. Gaining knowledge about what your baby needs and what's normal will really help you be the kind of parent you want to be. Most young mothers are on low incomes and learning how to manage your money is one the skills you will master over time. One way to radically reduce your costs is to buy second-hand equipment, clothes, and toys whenever possible. Some items your baby will only need for a short while (such as a pram) so unless you are loaded there is no point in spending hundreds of dollars on them. 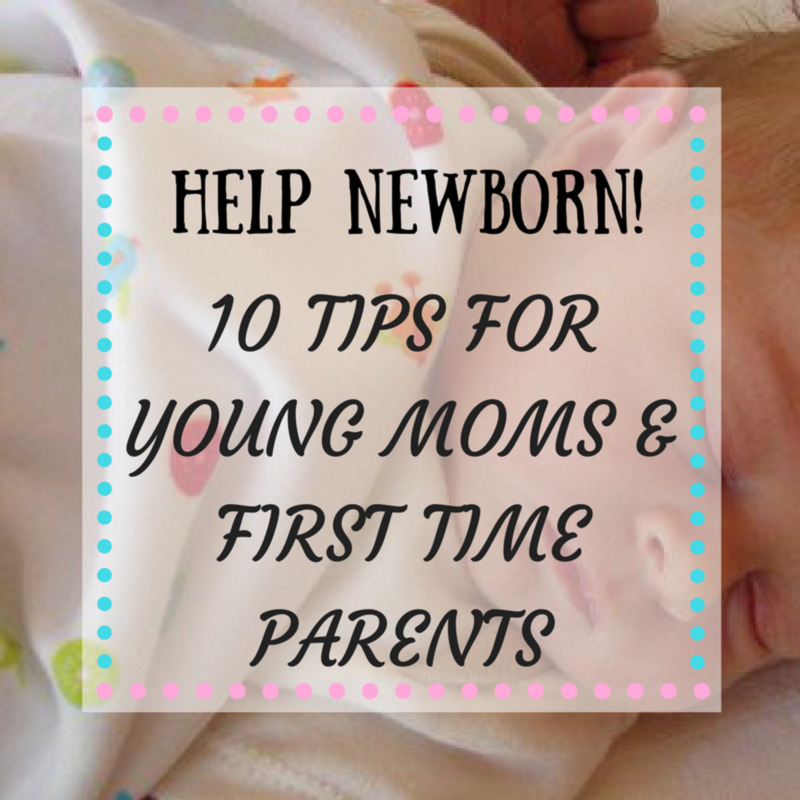 I hope you've found these ten tips first-time parents help you and your newborn! Newborns can be a bit of a mystery until we get into our stride and get to know the new little person in our lives—but a little bit of knowledge about their needs can go a long way to make your time together as stress free and as enjoyable as possible. Hi there, thanks for sharing this useful tips with us. It is really useful for the first time mothers. Once again thanks for sharing this post with us. Keep sharing. I am well past the stage of taking care of a newborn, my sons are 19 and 23, but I can well remember what those first hectic days, weeks, and months were like with our firstborn. Your hub is an excellent guide full of helpful information and advice for first time parents. Sleeping when the baby sleeps is probably the hardest to do. Your first inclination is to try to get everything done that you haven't been able to because you're taking care of the little one. Thanks for the wonderful tips. I smiled the entire time I read your hub because I remember how hard it was being a first time mom. 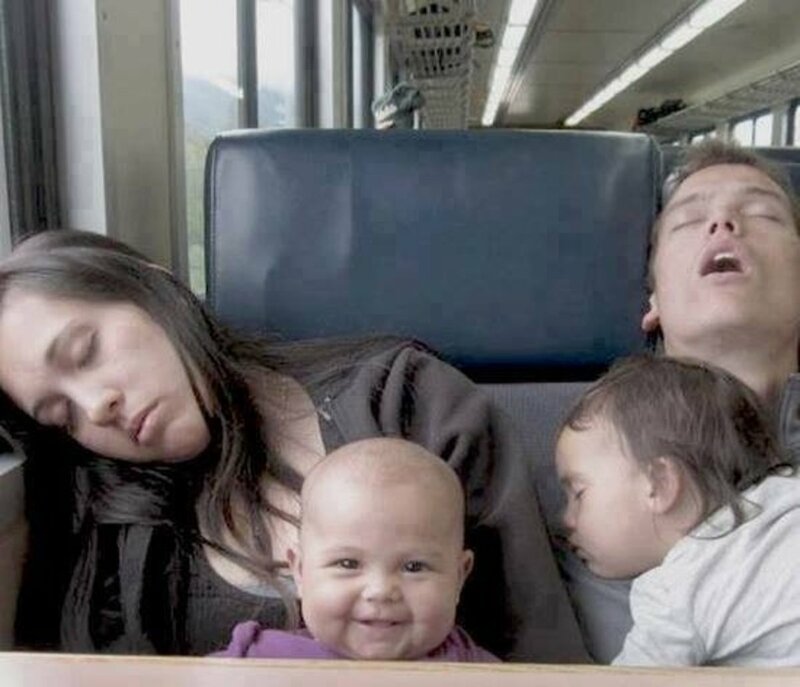 Your useful tips will help many sleep deprived parents. I couldn't agree more with #8--what an unexpected and very helpful tip! At 4 weeks old babies often need feeding every 2 hours, so the night wakings could well be the need for food. PLus if they have trouble with their digestion there's also wind to consider. You've given some very wonderful tips here! Thank you for sharing your experience! Great post. My little one is four weeks old (as of yesterday) and as someone commented earlier it is really hard in the middle of the night to not just cave and give in to the demand of cuddling/nursing them to sleep. Bookmared on my phone and I think will be a constant source of help. I think tips number four and ten are great and I totally agree with the rest of them also. It's hard to get all of it right away, but as parents we grow and learn along with each baby. My second baby was born 9-11-10 and it's hard to get into routine. 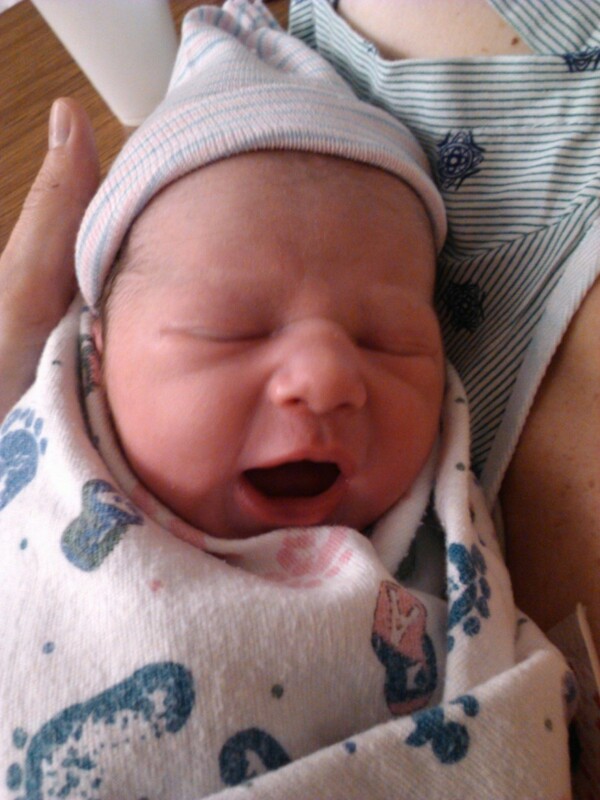 FYI it's a girl, her name is Myah. Thank you Susana for the reply. I wrote my message right in the middle of a 'not so smooth' day and I can see now how overwhelmed I was at the time. I have been given so much advice about what 'not' to do that it was all becoming a little to much, so I really appreciate your positive advice. Yes I believe he has trouble with his wind so i make it a point to stop & wind frequently, I also wrap him for sleep time and yes this does settle him most of the time. Now in the light of day and on a much calmer day yes I think 'going with the flow' is what I need to do. Thank you again, everything you have said is just what I needed to hear. Hi Jadene - I feel for you. It is really hard work and YOU are not a failure! I can remember my little ones at that age needing almost constant feeding and winding and it's exhausting - are you breast or bottle feeding? Does he suffer from wind or colic? With such short periods of sleep I'm guessing so. If he does this can severely hamper any attempts at a routine if he gets woken up with a gassy or sore tummy. He will find it a lot harder to settle and stay asleep. My own opinion is that it may be a little early to be able to get into a routine esp. if he does have trouble digesting his milk (which is normal for young babies). Could you just try to go with the flow for now? If he wants a dummy I would give it to him and in a few months when things are a little more settled you can start to wean him off it. If it is colic or wind you can try several over the counter medicines and also massage his tummy in a clockwise direction or lay him face down over your knees and rub his back. Thinking back, it would take about 45 mins to feed the baby including burping in between, then another 10 mins to change them. Then more burping. Then they would sleep for about an hour before the feeding started again! If I remember rightly at that age they would need feeding every 2-2.5 hours sometimes even sooner. Great tips here, my husband is in the babys room right now trying the shhh technique. I am a new mum and I am trying to put my nearly 4 week old son into a routine (as advised by many). My routine is based on a 3 hour feeding cycle. Feed time, awake time, sleep time with the next feed time no longer than 3 hours following the end of the previous. I have just started putting him to bed while awake, he begins to cry and then scream, and only wants to settle with either a dummy or by being picked up. Im not sure how long to leave him crying and screaming for, how long is too long? He only sleeps for about 20 minutes before crying again and can get himself so worked up its scary. By the afternoon I couldn't take it anymore and gave in after about 5 mins and give him his dummy.Now I feel like a failure. Do I just keep trying? Do I get up and try the same thing again tomorrow? In the last 24 hours we have only managed 45 minutes straight so I know that he is overtired as well. How do I make this self settling thing work? I would love some advice as I am feeling very overwhelmed. Many useful tips. New parents need lot of information about baby care, baby health topics such as yours.Thanks for the hub. Will follow your hubs with interest. Thanks jeeanie - I hope my baby tips help you too! Glad to read this post.I am a first time mom with 8months old baby girl. And until now I still have more things to know about my baby, especially now that she is starting to identify and learn things around us. Hope your tips helps. Hi New mum, I'll explain the technique I used to encourage my babies to go to sleep without being held, but it won't work if they have wind or reflux (which is one reason a baby may not be comfortable laying down). I would take them to the room they sleep in and have a quiet cuddle time to settle them down before sleep. Then when still awake or dropping off lay them down in the cot. If they started to cry I would try to keep them in the cot and pat and shh them there. I found swaddling really helped because the baby can enjoy that feeling of being cuddled and secure. I'd also highly recommend reading the baby whisperer solves all your problems, (which is where the pat/shh technique comes from) it's packed full of helpful info, tips and tricks. Wow Tubs congrats! Pat/shh is a great technique and I really wish I'd known about it with my first baby who was very unsettled and colicky. Good luck with using it! I am so happy I read this!! My newborn will be 4 weeks on Tuesday and I had never heard of the pat/shh routine! I will be sure to use that when he's overly fussy!! Great tips and advice! Thank you!! Thank you Susana S. Very useful and wonderful tips :) I will be sure to use them! Thanks kristiene - glad my baby tips were useful! Super Advice... really enjoyed reading your hub! If you don't mind take a look at some of mine! Another suggestion for new parents is to look at your local library or hospital for infant massage classes. This can ease colicky babies, babies that have gas or elimination problems, sleep difficulties, or just bonding with your newborn. I am a certified infant massage instructor as well as physical therapist and it is a great technique. I have other suggestions for newborns and their parents if interested, I can be used as a resource. Great hub! Thank you. With new babies being born everyday, this hub will be helpful for years to come. Nice advice and good hub x..
some great practical advice. Well- written and informative! Thanks for all this great advice, I posted a question On yahoo Answers Pregnancy section and you referred me to this page, thanks it has put my mind at ease a lot!! You are a great writer, keep it up! Thanks Dohn :) With all your knowledge of babies you will be (or are already!) a great catch for some lucky lady! This is a well-written and genuinely good advice hub, Susana. I was almost reluctant to read this because I am a guy and don't have any children (that I'm aware of:P). However, when my first nephew was growing up, I helped to raise him and know a lot more about taking care of babies than most guys. Your advice is excellent. Thanks!